Erika was so wonderful to work with! She was organized, detail-oriented, highly responsive, communicating well with us during the planning process for our engagement shoot and wedding day sessions. She ably merged our vision and ideas and her own creative ideas with an understanding of each venue. She made each occasion fun, while earning our full confidence that we were in great hands. Her personality would make anyone comfortable and relaxed. She and her assistant, Anne Marie, captured wonderful shots and moments from our wedding day, seamlessly solving occasional challenges during the day and evening. We are so incredibly happy with how our photographs turned out, and we would highly recommend Erika for your wedding! Erika is a dream photographer! she isn't afraid to do whatever it takes to get the perfect photo. even if it means putting on skates! Yes she took pics of our couple skating. how cool is that. Can't wait to book her again!!! Without a doubt, Erika and her team were the consummate professionals. They got every shot we requested, but did it unobtrusively. They were friendly and easy to work with, timely and extremely responsive to our needs. But the proof is in the pictures and they are wonderful. I would not hesitate to recommend Erika to any couples who want amazing wedding pictures, and any MOBs (Mothers of Brides) who want to check this one off the list with confidence. Erika was the photographer at our wedding this past August. She did a really wonderful job! She was professional, friendly, accommodating, and willing to work with our budget. She especially impressed us with her ability to merge with the background, taking wonderful pictures without distracting from the prayerful atmosphere of the ceremony. Also, one very nice feature she provides is a "sneak peek" of wedding highlights within 24 hours. My husband and I truly appreciate her amazing work! For one of life's most important events, there's no one I would trust more than Erika to not miss--and to capture in a brilliant way--the moments that form the mosaic of why the day matters so much. Erika herself not only had an eye--and timing--for seeing the best of our day, but also for finding those opportunities to show the fuller story of our wedding weekend. She put us both at ease--as much as by her personality as by her talent. 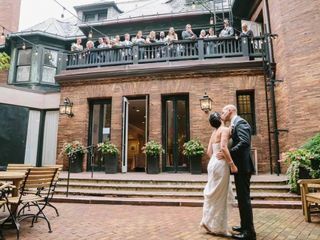 And, beyond executing a flawless performance as our lead photographer, she assembled and led literally a world-class team that had previously captured presidents and key leaders in our nation, as well as weddings for well-known couples across the country. In short, she was exceptional--and an integral of making our wedding weekend the best time of our life. Fortunately, thanks to Erika, we look back and see it all. Erika was a great photographer - it was such a joy to work with her for both our engagement and wedding photos. She did a fantastic job of matching the tone of our wedding and our personalities with the photos she provided. Would highly recommend her to others looking for a wedding (or other special event) photographer! We considered having a friend take pictures at our wedding to save money but we are so glad we decided to hire a professional! Erika was a pleasure to work with, had a great sense of humor, and gave us beautiful pictures for a reasonable price. We highly recommend her! Erika is amazing! She lets you set the tone of what you want in advance, but definitely kept us all on track the day of. Her photos are beautiful. Working with Erika to photograph our wedding and engagement portraits was incredible. She truly went above and beyond the call of duty to be flexible and deliver a fantastic product. When we mentioned that we liked hiking, she was totally gung-ho about taking a (freezing!) dawn hike with us for engagement photos, recruiting an assistant to help her navigate the terrain and even giving us a ride in her car to the site. She's diligent about scouting sites ahead of any event, which we hugely appreciated as it goes a long way towards making everything go really smoothly on the day. We got our wedding day "preview" shots only two hours after the end of the event, and having just received our full set of wedding photos, we're really pleased with the results. Not to mention... she's just a ton of fun to hang out with, which made the whole experience of working with her that much better! Erika chose a beautiful setting for our engagement photo shoot, Federal Hill Park overlooking the dramatic cityscape of Baltimore, MD. She was very careful about setting up the individual shots, taking a variety of casual and posed photos. It was so easy for my fiancé and I to work with Erika. She gives very clear direction during the shoot and once the photos are ready it is easy to view them online. After you place your order the photos will arrive in 4 or 5 days. Erika is very professional but at the same time is fun to work with. We both highly recommend her and we are looking forward to working with her again in November for our wedding. We first met Erika because she photographed our friends' wedding in the spring and we loved her work, so we decided to have her photograph our fall wedding and we were thrilled to work with her! Before the wedding, we met with Erika and she talked us through her approach and photography style, as well as answering all of our questions and sharing ideas. 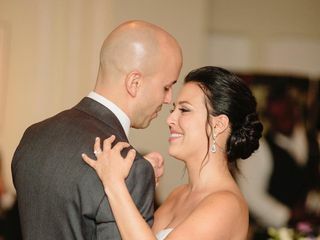 We also felt that she took the time to get to know us as a couple, which showed up in the photos- they were exactly what we were looking for and we thought that they really captured our special day. She also joined us for a walkthrough at our venue and was highly responsive communicating for all of the pre-planning. On the day of the wedding, Erika was prompt, highly professional, creative, patient, and she was also a very calm presence when things were hectic before the ceremony! She was joined by an assistant and they were able to "blend" into the crowd and get some great perspective for the photos. The results were amazing and a very fast turnaround time in getting the sneak peek, followed by the full set of photos. We couldn't be happier with our wedding photos and appreciate that Erika was a part of the day! We just got our wedding photos in from Erika (in far less than the month given to her in the contract!) and they are everything we hoped for. Fun, sentimental, bold, and joyful. Her background and skill in photojournalism enable her to really capture the moment and looking back through the photos allowed us to live the whole day over again. Not only is she an amazing photographer but she is also a total joy to work with. She was professional, generous, and timely in all she did - going far above and beyond what we would have expected. We can't thank her enough. I really can't think of anything negative that I could say about Erika. She was informative, positive, creative, flexible, and very patient. My fiance isn't much of a "smile on cue" kind of guy, but she had numerous backgrounds and settings that allowed for him to relax and eek out some great shots. We were a bit nervous about the weather on the day of the photo shoot, and she was in constant contact with us - proposing alternative sites and dates (she's creative and flexible!) I'd highly recommend her to any of my friends and colleagues. We got some amazing shots - both in color and black and white - that highlighted ourselves together, each other, the ring, and multiple different backgrounds. I love the variety. It was a pleasure to work with her! I cannot say enough good things about Erika Nizborski! Her pricing was reasonable- honestly, you are getting a GREAT deal with her! She did our engagement photos as well as the photography for our wedding. We met before our engagement session and did a walk through before the wedding. She was always very responsive to emails, which put my type-A personality at ease. She brought along great assistants for each of our sessions, they were always professional and very helpful. Her assistant at my wedding event took over lining up my family members for photos! We loved our photos from the day. She did a great job telling our story, capturing the candid moments, and taking lovely portraits that we will treasure in the years to come. I would certainly hire her again in the future. 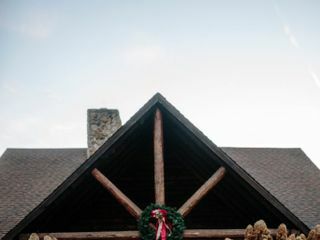 Erika's photos of our wedding are absolutely incredible! We loved meeting and planning with her before the big day and working with her during the main event was easy and fun. Not only do we appreciate the gorgeous photos she took, but we are also grateful for the professional and gentle way she worked with our families and funky, diverse friends to get so many great shots. Some photos of our nephew are so cute they'll probably make the little guy famous! We are so happy we found Erika; we had a great wedding and she was an important part of helping it turn out so well. Erika was very friendly and professional. She was able to work with us on short notice and provided a wealth of information for taking photos in the DC area. The pictures turned out amazing and we highly recommend her! AMAZING!!! Is the absolute best way to describe Erika. The quality of the work that she did was above and beyond what we had expected and the feedback from friends and family has been wonderful. We had to pick a photographer/videographer on faith since we are not from the area. What a relief to find someone with a level of professionalism that makes you know that you have made the right decision. Erika made sure that she devoted her time and attention to making our day and our photos/vidoe something for us to always cherish. Erika Nizborski Photography is without a doubt the best decision that we made for our wedding photos and photography. 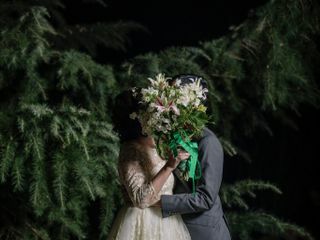 I am so glad we had Erika photograph our wedding! She was very responsive and professional and the photos came out great. Our biggest concern with photography was spending too much time posing for pictures or having to worry about every little detail. Erika (and her assistant Katie Dance) understood that and worked with us to get all the essential formal pictures done as smoothly as possible so we could enjoy the party. 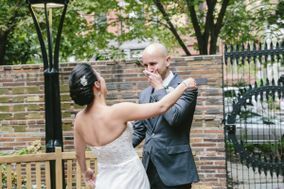 They did a great job of capturing the energy of the event and were able to roll with our very flexible (aka disorganized) approach to wedding planning. Erika's attention to detail in the weeks leading up to the wedding helped me to focus and schedule all the last minute details. I would definitely recommend her to friends (and already have!). Erika is fantastic on all counts. We were searching for a photographer for our wedding and did not want to standard posed photos and that's one of the reasons she is so great. Her ability to work more as a street photographer gave us incredible candid "capture the moment" shots we would have never got with anyone else. People who see the photos are blown away. Her thoughtfulness, pre-preperation and attention to detail made all the difference. When you hire a wedding photographer, you are relying on them heavily to guide you and she did just that. We had a 3 locations and she nailed them all. She also did the posed shots for the family. Anyone who knows me knows I have no patience for that stuff. Luckily Erika does and was able to capture all the important moments. A friend told me early on to choose the right photographer because the photos are your record of the day. Yes, videos are okay, but seriously...how many times do you think you'll watch it? The pictures are what last forever. I can assure you Erika understands this and her photographs prove it. Thank you, thank you, thank you!!! Erika was fabulous. She went above and beyond the call of duty to provide us with beautiful and professional pictures of our wedding. We enjoyed working with her because she was so kind and helpful. She gave great suggestions but also listened to our requests. She seemed to be excited about our wedding and was really in the moment with us. She came early and stayed late. She even stayed up late that night so we could see a sneak peak of our day. She seemed to be as excited as we were to see her work. It was so lovely to work with such a considerate and kind professional as Erika Nizborski.